Prince Edward Island might be best known for Green Gables and golf, but there is so much more to discover on Canada’s smallest province. What the Island lacks in size, it makes up for in character: It’s a place full of surprises, some traditional, others quirky, all authentic. Here’s a roundup of some unique experiences on “Spud Island" that you might not have even known about - until now. 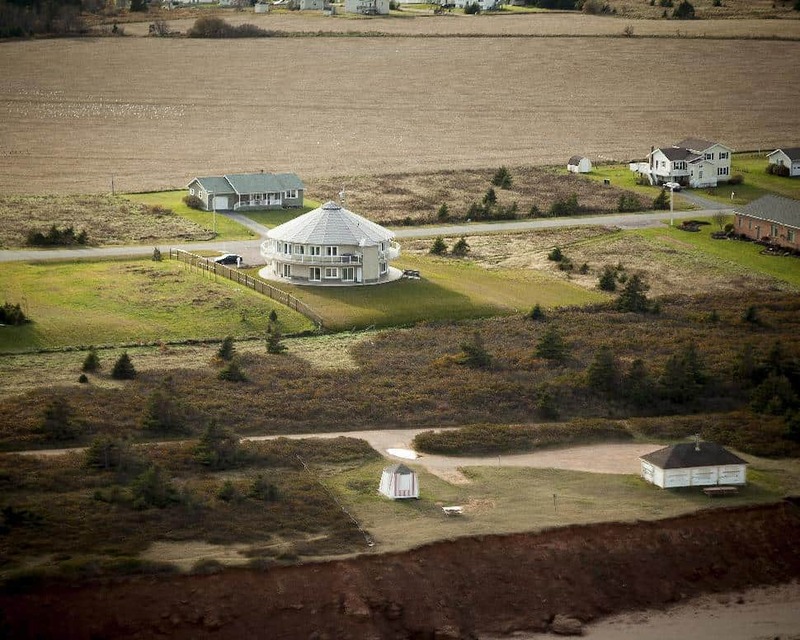 Around the Sea isn’t your typical bed-and-breakfast: The 5000-square-foot house in North Rustico is built on a rotating platform that moves back and forth throughout the day. No need to request an ocean view when you book—the shores of National Park Beach are visible from each room, at one point or another. And don’t worry about getting tea-cup-ride queasy: It takes 45-minutes to make a full rotation, so you can sit back, relax and enjoy the view(s). Can't stay the night? From mid-June through mid-September tours of the basement and upper deck are available to the public on Wednesdays at 4 p.m. and Sundays at 11 a.m. The cost is $5/person or $15/family, with all proceeds going to The Children's Wish Foundation. 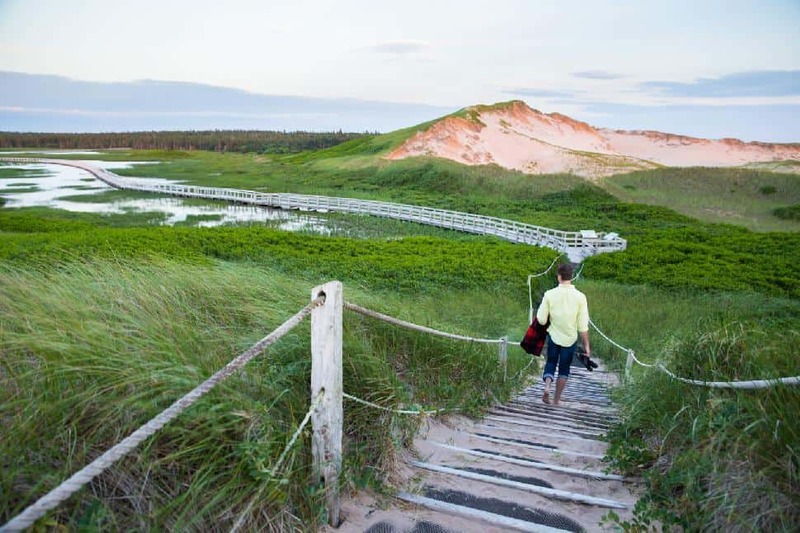 The dunes at Greenwich in Prince Edward Island National Park are unusually large and, get this, they’re mobile: The towering piles of sand migrate up to 12 feet every year. They’re called parabolic dunes—bowl-shaped mounds formed by strong winds blowing in one direction—and they’re a rare sight in North America. Also neat: The travelling sands leave behind a series of concentric ridges called gegenwalle. These dunes, coupled with the amazing biodiversity in the landscape, make this area an ecological treasure. P.E.I. was the first Canadian province to adopt prohibition, and, in 1948, the last one to relinquish it. During those long, long years, crafty Islanders resorted to making homegrown hooch, which they illicitly shipped to the U.S.
Today, you can swing by The Myriad View Artisan Distillers in Rollo Bay to lawfully sample their smooth “Strait Shine” moonshine, or, for the truly adventurous, the 150-proof (!) “Strait Lightning.” Stay for a tour of the distillery and the guide might let you sample the ‘shine straight from the still. Plus, you’ll be treated to some great stories about the history of hooch on PEI. Basin Head Beach has some of the warmest waters in the country, but that’s not the only reason to visit. Drag your feet across the beach’s white sand and you’ll hear strange pops and squeaks that almost—almost—sound like singing. This unique phenomenon of “singing sands” is a scientific mystery; It’s thought to be caused by the consistency of the quartz and the high levels of silica, but no one knows for sure. Whatever the origins, go have a listen: The acoustics can be heard along several kilometres of this beautiful beach in Basin Heads Provincial Park. No visit to the Island is complete without a ceilidh, a Gaelic party with music, dancing and storytelling. And what’s better than a traditional ceilidh? A ceilidh on a boat! Climb on board J.J. Chaisson’s lobster fishing boat for an intimate and raucous concert that will have you singing and dancing in no time. Can’t jig? Don’t worry: Chaisson will take you through the basics of square dancing. Plus, you’ll learn to play the spoons, so you can join in with multi-instrumentalist Chaisson—a.k.a. 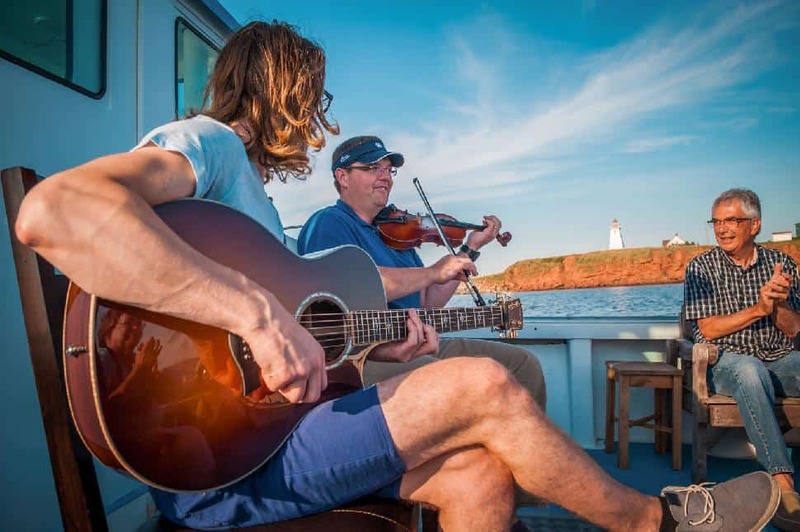 the “Fiddling Fisherman”—as your boat sails by the red sandstone cliffs along the coast. 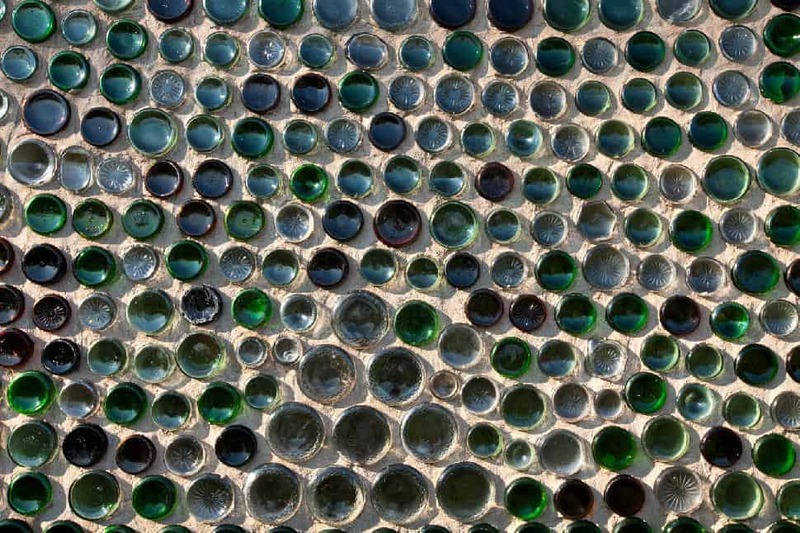 Here’s a sight that’s off the grid: Located on the North Cape Coastal Drive, The Bottle Houses are three life-size structures made from more than 25,000 recycled glass bottles. 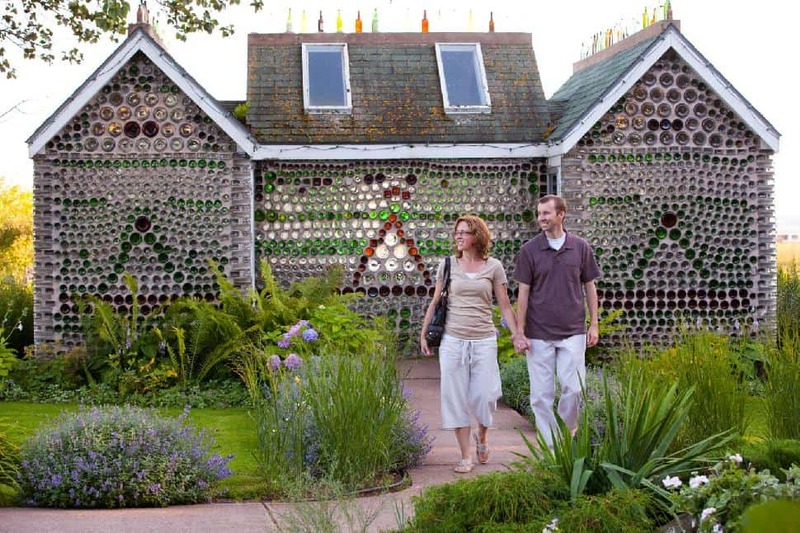 The houses were the passion project of the late Édouard Arsenault, who collected bottles from local restaurants, dance halls and the members of his small community in Cap-Egmont. Open from May to October, the whimsical site includes a six-gabled house, a tavern and a chapel complete with pews and altar. Make sure you visit on a sunny day to take in the full effect of the light filtering through the multi-hued bottles. 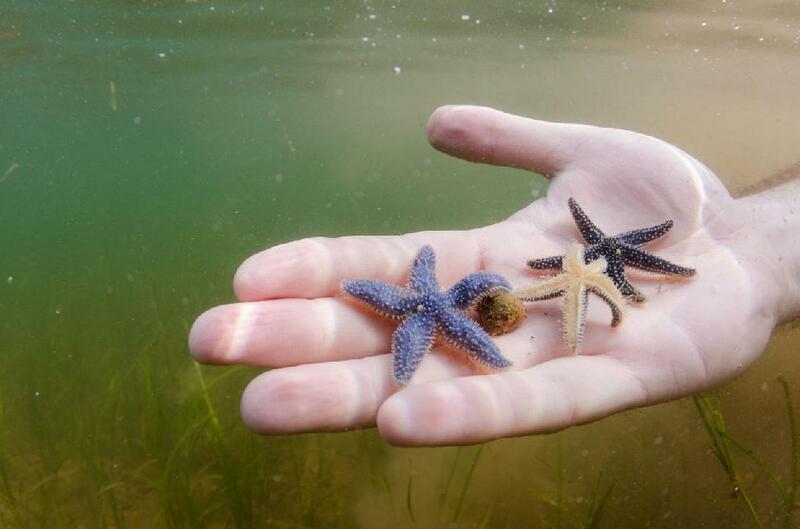 For a one-of-a-kind keepsake, Tranquility Cove Adventures will take you on a two-hour hunt for sea stars—better known as star fish—on the beaches of the Brudenell River on Georgetown Peninsula. Spend a couple of hours collecting these beautiful Echinoderms, then trade the live stars for dried ones you can take home with you. Prefer to feast on the day’s haul? Grab a spade and bucket and join Tranquility Cove’s giant bar clam dig. 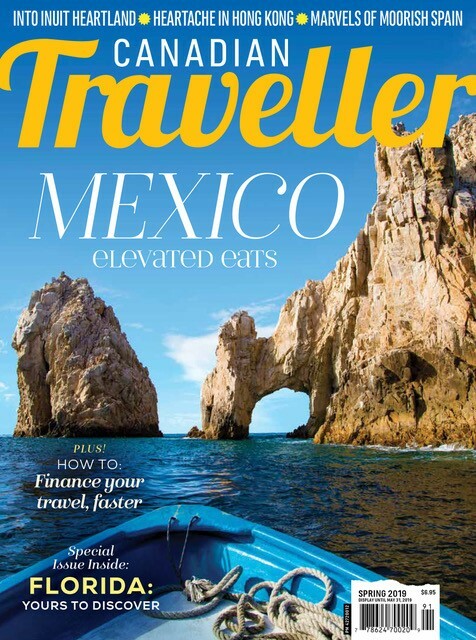 You’ll be whisked to a deserted beach off the coastline to dig, swim and snorkel to your heart’s content. And at the end of the day, you can devour the salt-water-steamed, fist-sized clams at a real beach cook-out. If you find yourself on the picturesque North Cape Coastal Drive, stop in at Green Gables Alpacas in the town of Birch Hill. You can tour the alpaca farm, and learn about the local history of the property. But the best part is getting up close and cozy with the adorable, Instagram-worthy herd. 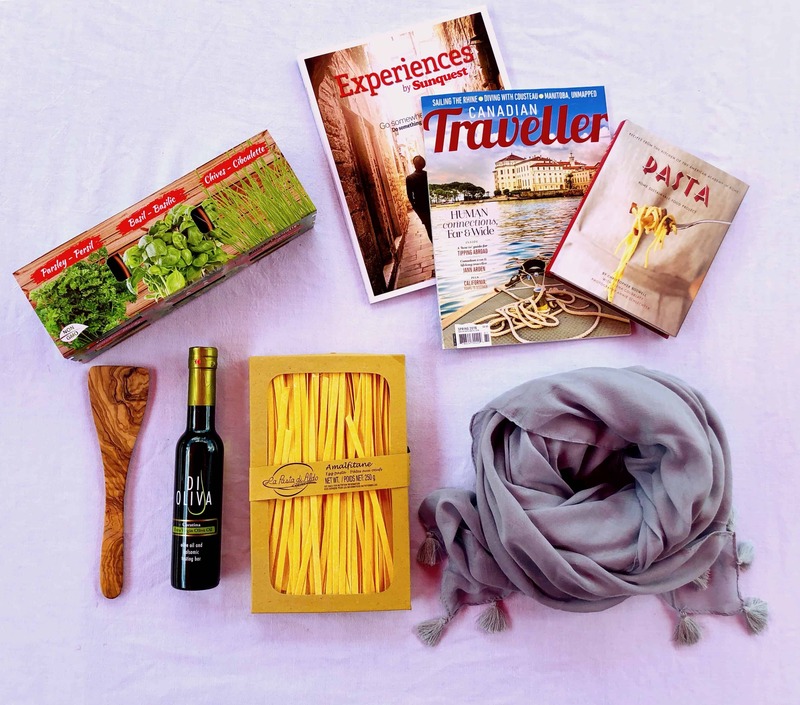 Don’t miss the farm store, where you can buy goods made from the alpacas’ luxurious fleece. Ready to plan your own Prince Edward Island getaway? For the traveller who can't sit still on holiday, there's Prince Edward Island. Boasting more festivals per capita than anywhere else in Canada, from April through October the festivities in PEI are non-stop.